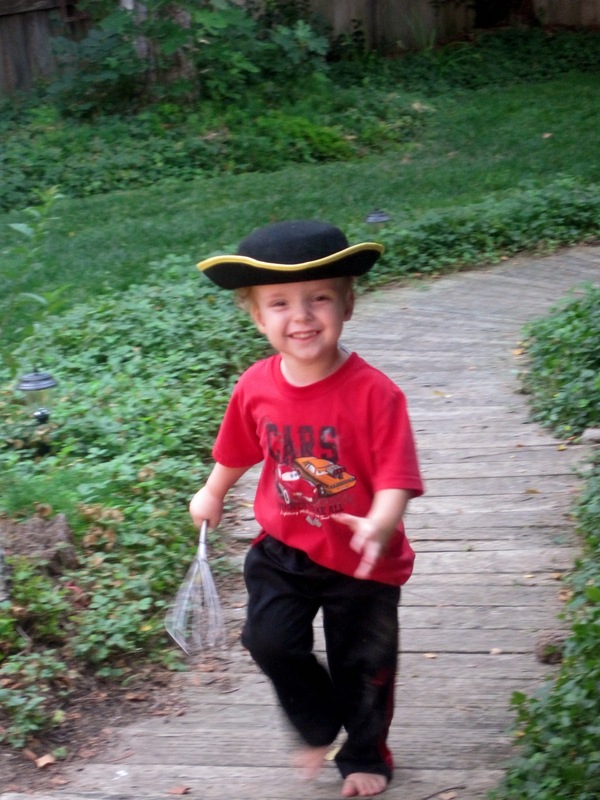 I like to think God is pleased when we greet the dawn in a tricorn hat. Well, it’s a tall order in today’s world. It calls for a bit of surrender and a touch of humility. Sometimes kitchen utensils help. And hats. Next Next post: Old Ladies, Shoes, Etc. Yay! I'm so happy they're having fun with the hats. I was grumpy this morning; I want to hold my new grandbaby. This little bit of joy helps. love it. 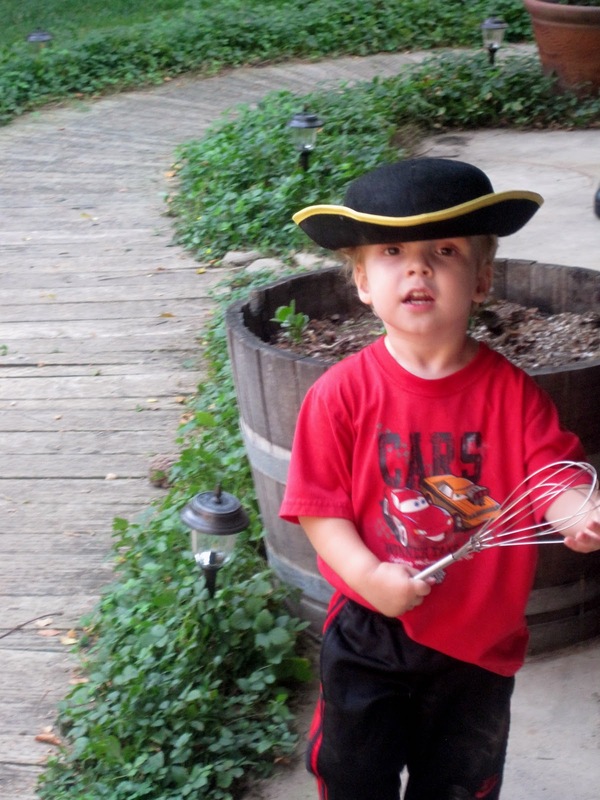 and i just know my boys would be beating each other with those whisks. you. are. awesome. oh mother of three boys. whisks certainly help. So cute! The kitchen utensils make them authentic, I'm sure. 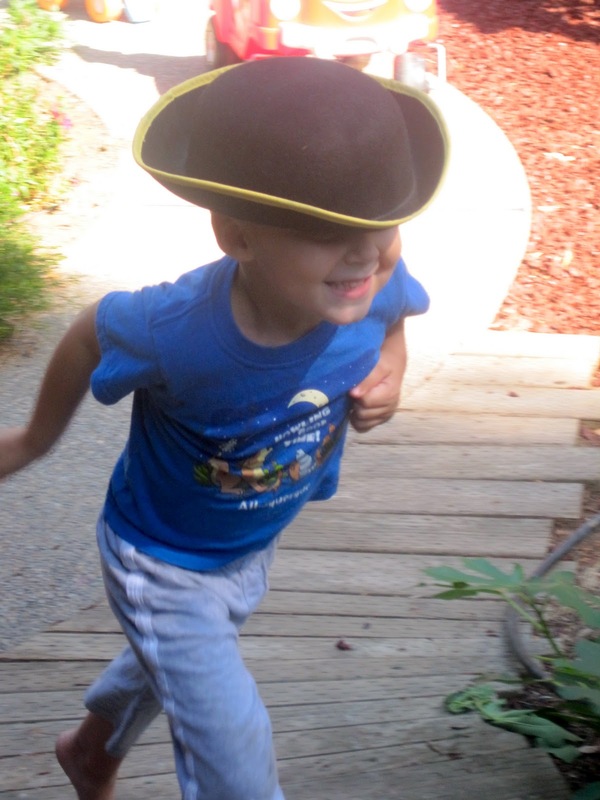 I'm trying to make a tricorn pirate hat for my big 9yo boy and it's not going so well. I think I'm just going to break down and buy one that's too small and cut it up! i want to be like this. hat and all. I started shouting, “Amen!” at your first sentence and didn't stop until the piece ended. Thank you for cheering up Jodi. She really needs to go hug her new grandbaby.